When I was a little kid, I remember driving by McDonald’s and looking up at a sign that said “Over 80 Billion Served”. Obviously, as a child, I didn’t care about that, as I was far too afraid of the Hamburglar trading up stealing burgers to stealing my life. As I got a little older, I noticed the signs stopped giving sort-of specific numbers, and started just saying “Billions and Billions Served”. Apparently, they stopped posting the numbers in 1994, after 99 billon served. It’s unclear why. Maybe they thought 100 billion was too showy. Well, McDonald’s may have decided that we’re not worthy of knowing the burger count anymore, but I’m not having it. If they can hook me on 520 Calorie burgers, then I deserve to know how many other people they’re slowly leading to obesity. I feel I’m entitled to know McDonald’s number. They may have served Billions and Billions, but I had like, 8 last week. I should be special to them. They should remember me. At the very least, I deserve to know how many others they cruelly made to feel special. Time to right the wrong McDonald’s made in 1994 and figure out how many burgers they’ve truly sold. First, we need a place to start. According to a few sources, the 100 billionth burger was indeed served, back in April 1994. Also, this site estimates that there were 247 billion served by April, 2010. Although I found out that number refers to the number of patties sold, not actual burgers, so that’s actually only like 123.5 billion Big Macs. That’s some shady accounting, right there. The site linked above has a good way to calculate burgers sold. 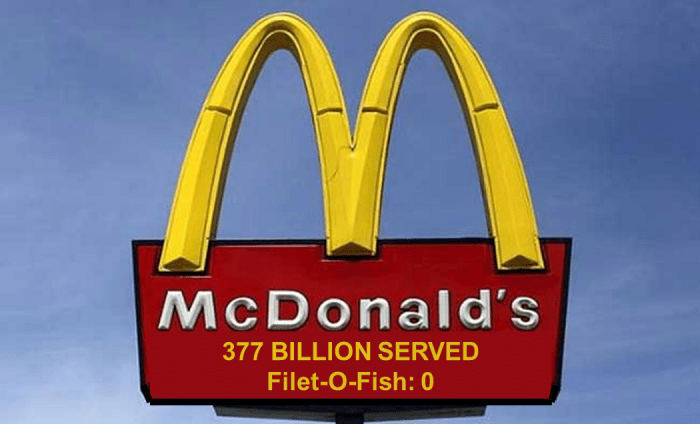 We know McDonald’s signs used to say “80 billion served” in 1990, and that they sold their 100 billionth in 1994. That’s approximately 5 billion burgers a year. 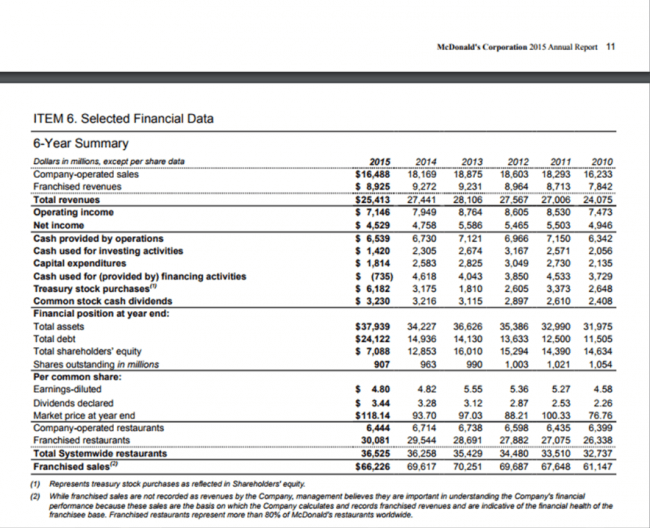 You can then multiply the 5 B burgers/year by the global year-over-year systemwide sales growth, which you can get from McDonald’s annual financial reports, which are in the financial info section in the McDonald’s corporate website, which shows sales figures across the entire organization, which sweet merciful God, somebody kill me, kill me now. And don’t you dare think I didn’t damn well go through every financial report. Don’t you dare think that. Anyways, I looked up the systemwide sale for McDonald’s every year since 1994, applied the percentage growth to the previous year’s burgers sold, and summed the total. For example, Mickey D’s sold 5 billion burgers in ’94 to reach 100 billion, and had 15% sales growth in ’95, so they sold ((5 B * 15%)+100 B) = 106 B. I did that every year up until the end of Q2 2017 (which you can see here), all the while trying to suppress the realization that I have nothing better to do. The final answer? 377 billion. That’s what you get if you multiply the yearly systemwide sales growth to the cumulative sum of burgers every year, starting with 5 billion burgers served and 100 billion total in 1994. How do I know I’m right? First of all I replicated the figure of 247 billion served in 2010. Second of all, I made a graph. 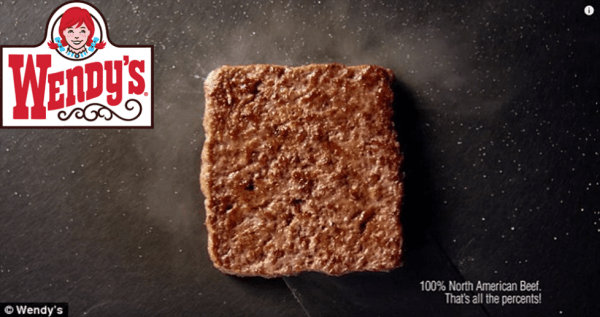 Admittedly, I can’t be completely sure that the proportion of burger patties to overall items sold hasn’t changed over the years, but I’m pretty sure McDonald’s doesn’t know that either, so I’m sticking with 377 billion. Here’s a fun fact: if a typical McDonald’s burger is 2 inches tall, that’s 19,151,600 km worth of burgers, or enough to cover the circumference of the Earth 477 times. Or enough to get to the moon and back 25 times. One for the vegetarians: The average weight of each patty in 45.4 g, or 1/10th of a pound, and according to these sites I haven’t verified, there’s about 440-490 pounds of useable beef per cow, so you can get around 4,500-4,900 patties per cow. Meaning that, conservatively, McDonald’s has used about 76,938,775.5 cows for their burgers. Assuming they’re actually made from beef. Each cow emits about 100 kg of methane into the air, meaning McDonald’s cows have contributed about 7.7 billion kgs of methane, which warms the planet 86x more than the CO2 emitted from fossil fuels. I would be more judgmental, but I’m pretty sure I’ve contributed to like 50 kg of that myself in the form of Quarter Pounders. Sorry everyone. In my defense, at least I’m not eating at Wendy’s, their burgers are square, for Pete’s sake. Look at this vile carrion. What have you done, you red-headed monsters? I’ve gone off on a climate-change diatribe now, which wasn’t really the point here. The point was McDonald’s hurt me by hiding their past, and it’s time the world knows the true McDonald’s: 377 Billion Served. Dan is off to make it 377 000 000 001, because he’s a glutton for punishment. And just a glutton. What question should we answer next? Email us at blog@scienceeverywhere.ca or post on our Facebook or Twitter to see your topic covered here.